Dirty carpeting makes your home’s interior look drab, not to mention it’s a breeding ground for smelly odors, fleas, dust mites, skin flakes, bacteria, mold, pollen, viruses, and more, which can potentially make you sick. Therefore, when selling your home, it is strongly recommended that you clean the carpet before selling it to pass on a more sanitized home that will make you proud. It is especially important if the majority of your home contains carpeting. When it comes to cleaning your carpet, you can do it yourself; however, carpet cleaners provide many benefits over DIY carpet cleaning for superior results, which can help get your home sold faster. To get your carpet clean, you could certainly rent a carpet cleaner machine and do it yourself. However, professional carpet cleaners are highly trained and skilled in various carpet cleaning techniques that will have your carpet looking like new in no time so you can rest assure it’s done right. They, move heavy furniture for you. Professional cleaners, they take the time and care to run heavy furniture pieces out of the way so they can clean the entire carpet and then put it all back once they’re done, so you don’t have to. They use powerful machinery – Professional carpet cleaners use industrial strength machinery as opposed to the poorly made machines typically offered for rent that can make your carpet worse. They also get the water hot enough to effectively kill bacteria and germs as opposed to rented devices that do not. hey provide the right cleaning solutions for your specific carpet type – When you hire professional carpet cleaners, it eliminates the need to purchase cleaning solutions on your own, which can be expensive. Not to mention, not all carpet shampoos are created equal. Some shampoos can damage the carpet. When washing a rug, you must use a cleaner that is specially formulated for your specific carpet type. Professional carpet cleaners have an inventory of cleaning solutions on hand and will select the right one for your specific carpet type for maximum results. 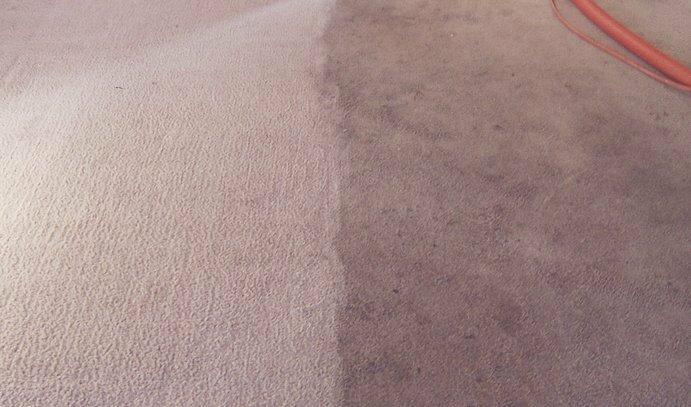 They pre-treat and remove stains – When you attempt to remove carpet stains yourself, you risk scrubbing them deeper into the carpet fibers or using the wrong products, which can further damage the carpet. Professional carpet cleaners have the right products to effectively pre-treat and remove stains, and they also know the right techniques to get rid of unwanted stains without damaging the carpet. They have the time it takes to clean your carpet – Cleaning your carpet can take anywhere from a few hours to a few days, depending on the carpet as well as the amount of carpet you have, which you, yourself may find tiresome. However, it is a professional carpet cleaners job to devote their time to clean your carpet, and they can work around your schedule, so you’re not inconvenienced. They use the proper techniques – Professional carpet cleaners employ the right techniques that prevent your carpet from becoming too saturated with water and shampoo, and they also avoid placing the furniture back onto the carpet while it’s still wet, which can damage your carpet. They have the right equipment to dry the floor covering adequately. Professional carpet cleaners utilize fans and other professional equipment to increase the drying process so you can get back to showing your home as soon as possible. They provide expert advice – Professional carpet cleaners have extensive knowledge concerning all types of flooring and can advise you on the best way to keep your freshly cleaned carpet, as well as your other flooring, free of stains, discoloration, and odors to prolong the life of your floors. It Helps Ensure Your Carpeting Stands out Against the Comparables Reports to show that on average home buyers view up to 15 homes or more before finally settling on one, during which time they thoroughly examine the floors in comparison to similar properties on the market as one of the determining factors. Therefore, your carpeting needs to look clean and pristine to stand out against comparable homes with carpeting. Otherwise, if the carpet looks dirty and worn, or if it smells, it can deter potential buyers. Professional carpet cleaners can ensure your carpet is free of all dirt and stains for exceptional carpet that helps display your home in its best light. First, the cleaners will arrive at your home and take notes of any worn areas and stains as well as the type of carpeting you have. They will then use a professional strength vacuum to loosen and remove any dirt particles from the carpet. A preconditioning agent will then be applied to the carpet to help remove any stubborn dirt from the fibers. The carpet will then be deep cleaned using one of many professional methods, such as steam cleaning, depending on the type of carpet you have. Steam Cleaning Steam Cleaning Steam cleaning is one of the most effective cleaning methods used. No one steam cleans during this cleaning method. Instead, the carpet cleaner uses specially designed vacuum equipment, which includes a thin rod that sprays a stream of water onto the carpet. By ejecting hot water onto the rug, dirt is loosened immediately. Then the water along with the dirt is suctioned into the vacuum, leaving the carpet practically dry. The carpet cleaner will then apply additional conditioning to the carpet for increased softness. Though the initial cost of hiring professional carpet cleaners is typically higher than doing it yourself. Since clean carpet increases your chances of selling your home, once your home is sold it more than pays for itself. On the other hand, if you take the DIY route to save money, if your carpet isn’t up to par, you could end up losing the sale, which can cost you more money. 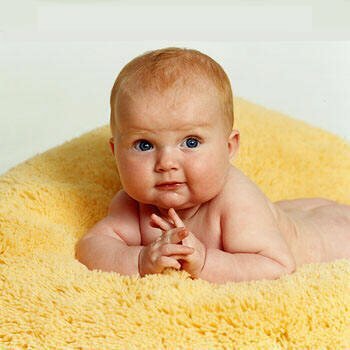 The best carpet cleaning companies offer a satisfaction guarantee. They will come back free of charge to fix any issues. They will re-clean the areas in question if the job is not to your satisfaction. However, the restrictions vary from company to company, so be sure to inquire about the company’s guarantee policy before you get started. The cost of having your carpet cleaned differs based on various factors, such as the number of rooms, the square footage of your rooms, the type of carpet cleaning you require, whether you have stains, whether you have a staircase with carpeting, and whether your carpet needs deodorizing. We can provide you with an estimate per room and square foot to have your carpet professionally cleaned; however, our cleaner will need to visit your home and inspect the area or areas to be cleaned to provide you with a more accurate estimate. In the end, having your carpet cleaned in addition to other upgrades made to your home can go a long way towards getting your home sold fast. If you reside in Northern Va and are looking to sell your home fast by having your carpet professionally cleaned, we can come to your home and ensure your carpet looks as presentable as possible, regardless to how long you’ve had it. Contact a member of our team at (703) 914-2811, visit our website at Astrobrite Carpet Cleaning, or stop into our location at 3303 Prosperity Ave, Fairfax, VA 22031 to find out more about our services.